Wet Dog Tile | Lake Dog & Pond Dog Collections! When you think of "Wet Dog Tile" what do you envision? 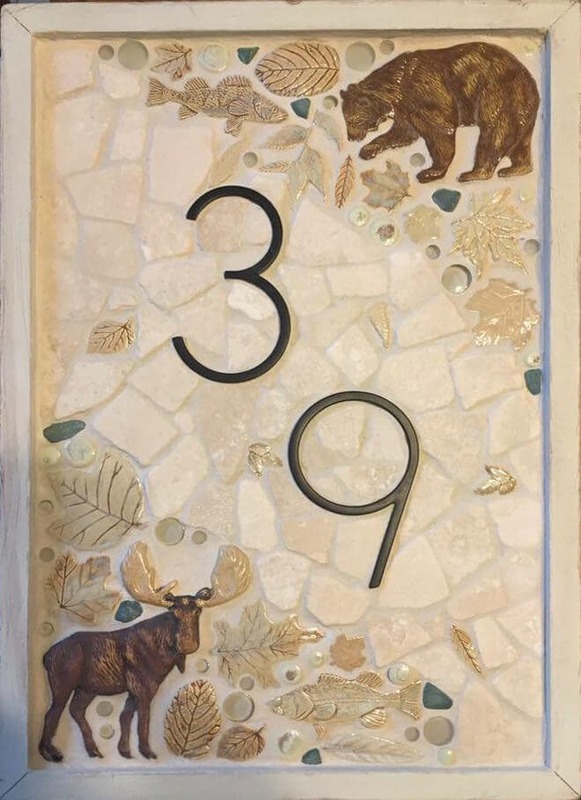 You may think of our Ocean Dog Collection; ocean critters, various neutral stones, and bright blue glass turned into nautical themed murals and borders. This week we're working on a couple different orders featuring pieces from our Lake Dog and Pond Dog collections. 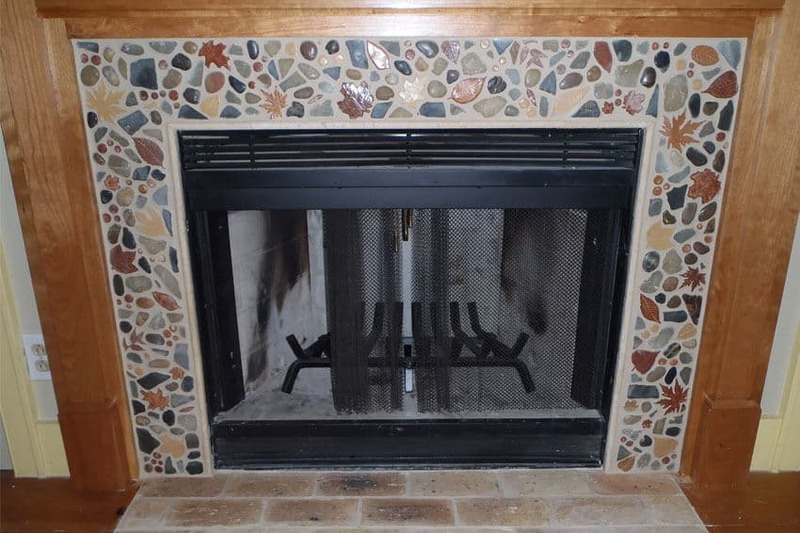 These collections offer tiles for rustic farmhouse-style homes, lodges, log cabins, and more. While these collections are less popular than the Ocean Dog Collection, they're just as fun and there's just as much love put into them! The Lake Dog and Pond Dog collections feature leaves, lily pads, frogs, fish, birds, bears, and so much more - they're definitely worth a look because there's so much diversity and both are very different from the Ocean Dog collection. 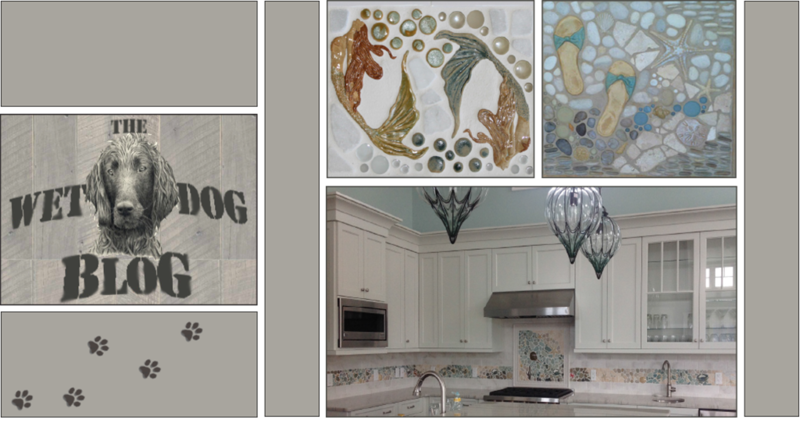 Below are previous projects featuring tiles from the Lake Dog and Pond Dog collections. These photos were taken from our Photos and Ideas page - where you can find even more of our installations! 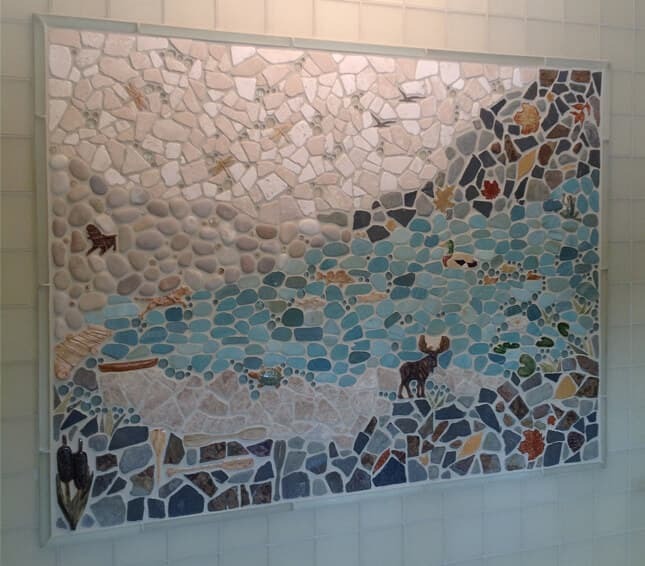 Do you think you'd like a mural or border featuring the Lake Dog or Pond Dog tiles? We offer loose pieces if that's what you'd prefer as well!